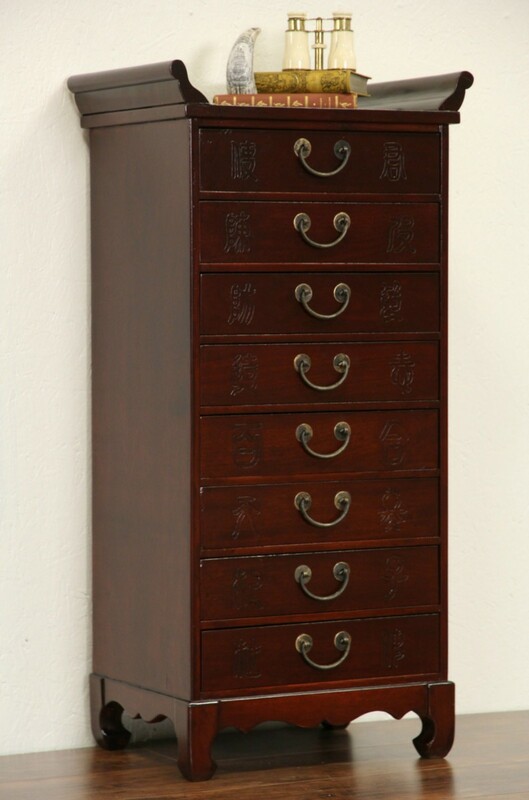 An eight drawer collector or music cabinet from China could also be a nightstand. About 50 years old, this ash and birch vintage furniture has drawers carved with Chinese characters. The deep finish is in excellent condition, drawers have original wrought pulls. Dimensions are 19" wide, 13" deep and 38" tall. See 14 photos on Harp Gallery website that enlarge to full screen size.